To jazz and back again, Australia-bred New Yorker sets his ivory surfboard for the land of Oz. 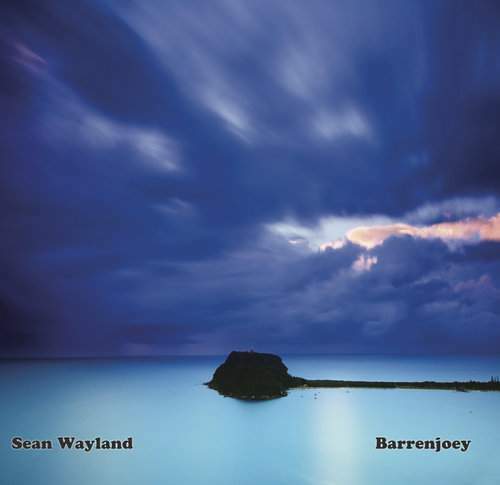 A Sydney Conservatorium of Music graduate, Sean Wayland’s 23rd album isn’t the dewy-eyed sailing to his homeland that inspired the romantic jazz on some of this record’s predecessors – the keyboard player musically revisited South Pacific a few times since 1994, when he started his solo career – but a full-on groovy trip. Starting with the finger-popping title track and rolling over 18 further songs, there’s an easygoing jive to most of it that embraces the light side of funky fusion so, no matter how ragged a tune is, the rhythm throws breezy caution to the wind. As a result, cuts like “Jazztafarian” with its blues and reggae jokes, which otherwise could have shaken Stevie Wonder, lack substance and feel rather bare, the title of a rather labored “Designer Babies” betraying the prevalence of mind over heart. Still, the beauty of “Mind Over Mind,” high on a guitar-and-drums ripple, or “Better Down South” is haunting, if elusive, while Wayland’s love for bop informs the piano-spiked “Looking At You,” whereas “Grey Goo” finds Sean deep in a Fender Rhodes solo. Elsewhere, “No Credit No Problem” is soulfully memorable, and not because its social message but thanks to its catchy chorus, and “Under D Tree Restaurant” rolls its ska rumble into one’s memory, too. “Tricknology,” though, is jazz rock at its most romantic, which seems quite a way to go for Sean Wayland in order to bare as much joy as he can.